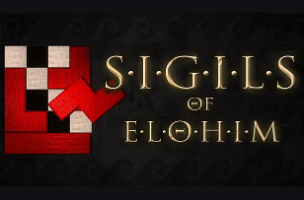 Croteam and Devolver Digital have released Sigils of Elohim on iOS and Android devices. The title is a mini-game companion and prelude app to Croteam’s upcoming title The Talos Principle. Sigils of Elohim challenges players to complete groups of puzzles by dragging and dropping shapes into the proper orientations to fill a limited space. Each level of Sigils of Elohim sees users manipulating pieces by tapping and holding on them, while using a second finger to rotate their orientation. From there, they drag these pieces onto a checkerboard in an effort to fill the entire board using each individual piece, with no gaps or overlapping between the pieces. Each level is timed, and players can replay stages to decrease their total time taken within the game. As players complete groups of stages, they receive codes that will be redeemable within The Talos Principle upon its release later this year. A first overall “set” of puzzles is available to play for free now, and includes four prizes, with two more puzzle sets coming in future updates, all leading up to the release of The Talos Principle later this year. Sigils of Elohim is available to download for free on the iTunes App Store and Google Play, and is also available on Steam for PC, Mac and Linux.